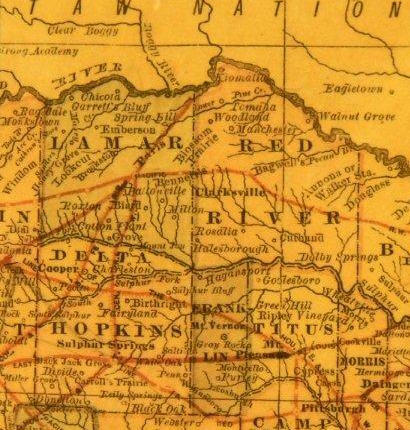 The Texas State Legislature created Hopkins County from land formerly in Lamar and Nacogdoches counties in March of 1846. The county was named in honor of a prominent local pioneer family. 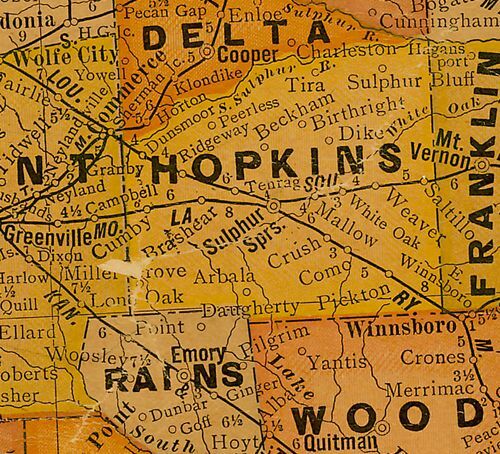 The original county seat of Hopkins County was named in honor of General Edward H. Tarrant. 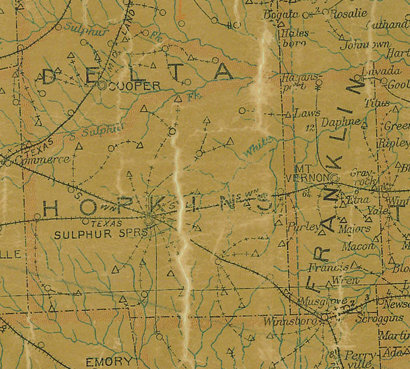 The town of Tarrant was created at the geographic center of Hopkins County as required by Texas law at that time. In 1847 a post office was established in Tarrant. 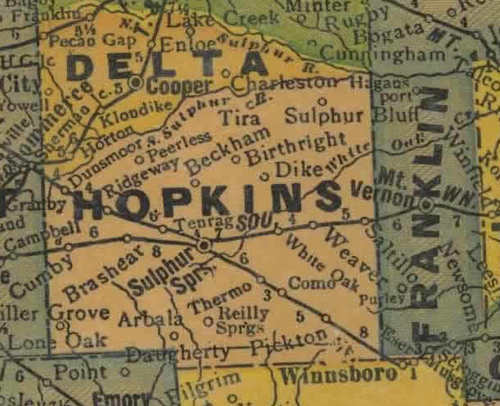 The town of Tarrant remained the county seat of Hopkins County until the Post-Civil War Reconstruction period. 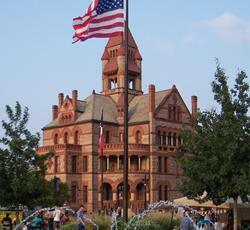 In 1870 a special act of the Texas Legislature declared Sulphur Springs the permanent county seat of Hopkins County.